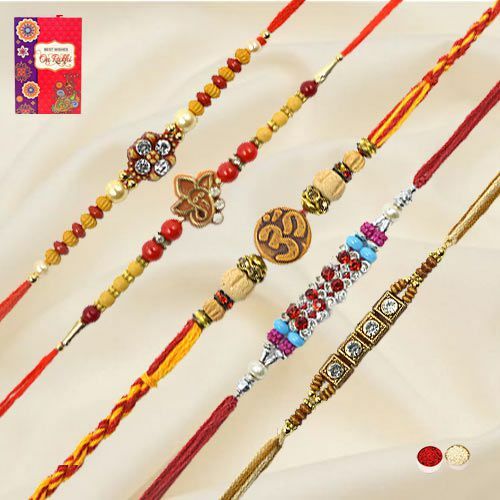 Prayers for a good fortune for your dear ones and this gift of Stylish Celebration with Tendering Five Rakhis along with a free Rakhi, Roli Tilak and Chawal sum up for a special and fantastic Raksha Bandhan. The band of Rakhis are beautifully adorned with multicolor threads. Design of the Rakhis may vary a little.